Resource Conservation Systems (RCS) was founded in 1985 to provide non-potable irrigation water as an alternate source of water to irrigated select master planned communities and golf courses in Lee and Collier Counties. 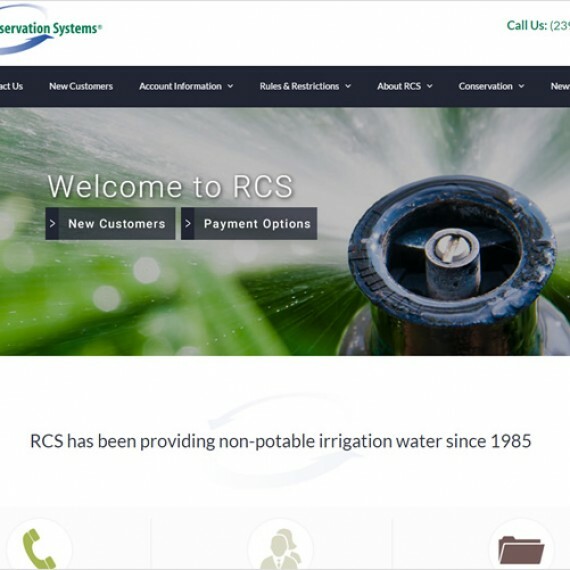 RCS has over 6000 meters in the system and provides irrigation water to 11 golf courses, numerous common areas and multiple customer types to include estate residential, standard residential, cluster, multifamily and commercial properties. Irrigation water is from well fields located within or near the developments served and reclaimed water from the Bonita Springs Utilities north wastewater reclamation facility. All well water is regulated and monitored by the South Florida Water Management District. Reclaimed water provides about 33% of the total irrigation water supplied and is regulated by the Florida Department of Environmental Protection.